this decorative and functional hanging pot holder. 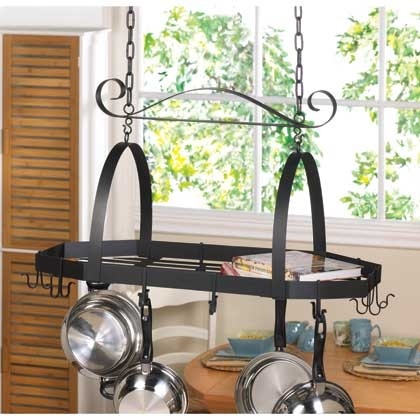 top for cookbooks, cooking utensils, and more. included. May Require Additional Freight.